For years I have been frustrated with what I call the brainwashing of our society about what foods are healthy. Even medical professionals routinely recommend dangerously unhealthy diets to their patients. Where is the confusion coming from? 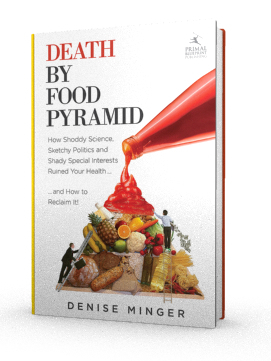 Denise Minger hits the nail on the head with her new book, Death by Food Pyramid, and clearly shows where the food pyramid came from and why it is so up-side-down..
Denise Minger is research scientist with a doctorate in Nutritional Sciences who started her career with a powerful critique of The China Study, a study that condemns animal foods. She has since published hundreds of articles about health and nutrition. 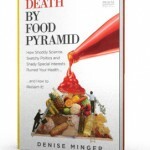 She advocates for traditional whole food diets which include healthy fats. Michael R. Eades, MD, too, found her work fascinating and wrote a sort of cliff notes/blog trailer for it, which you can read here.